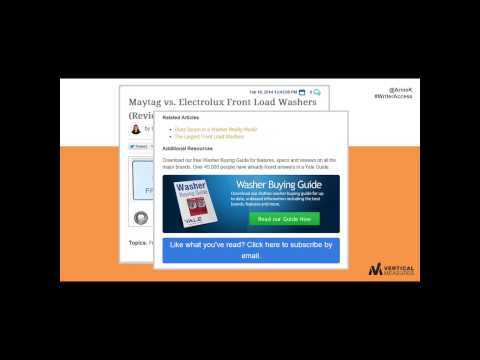 Watch the Webinar - Optimizing Your Content: Writes and Wrongs! Important fact: 93% of all buyers, online or in-store, use search engines prior to making a purchase decision, and 86% of searchers conduct non-branded queries. Are you in tune with the newest optimization song and dance? Join host Byron White and guest Arnie Kuenn, CEO of Vertical Measures, for a tune-up on what’s working with content marketing optimization, and what’s way out of pitch, wasting valuable time and resources for your team. Learn how to create useful information for buyers. And how to capture market share and mind share in one swoop, delivering the ROI you demand from content marketing investment.